We Indians have a fascination for pulses and lentils. 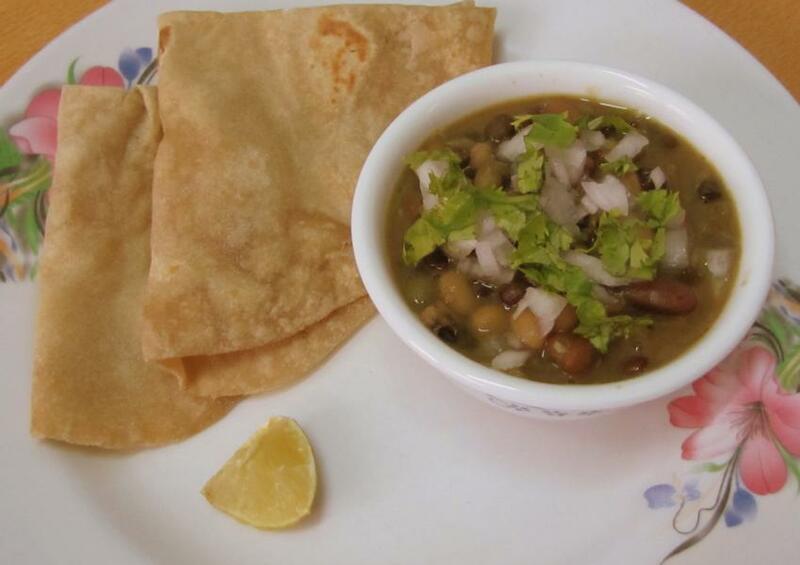 Various pulses are consumed in various forms all over India…from the humble sambar to the world famous dal makhani, legume preparations are part of daily diet and eaten with rice or rotis. Like any typical Indian household, my kitchen is always stocked with an assortment of all the imaginable dried pulses. So, on one of my grocery shopping expeditions, I was delighted to find a pack of mixed dried pulses. It looked so colorful; I had to have it as my brain started whizzing with possibilities. 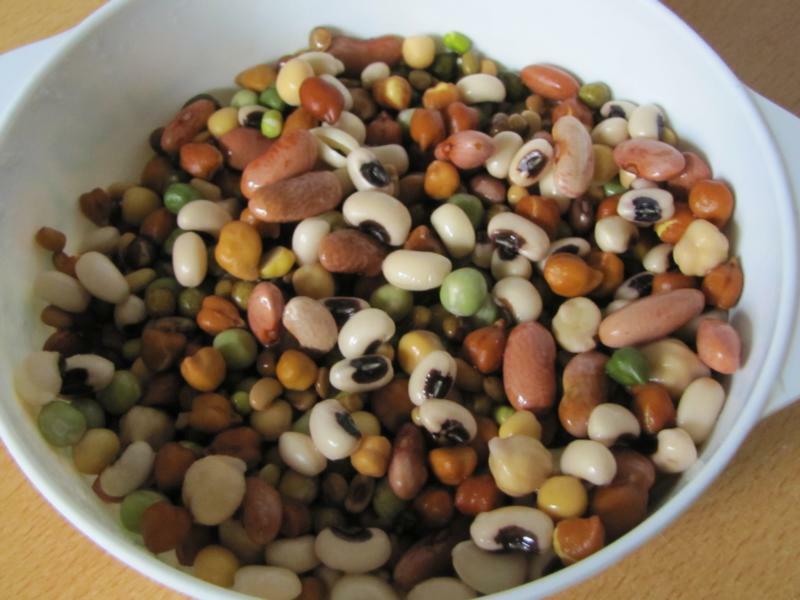 My mixed bag of pulses contains – white and black chana / chickpeas, moong / whole green gram, rajma / kidney beans, dried chawali /blackeyed beans, white and green peas. 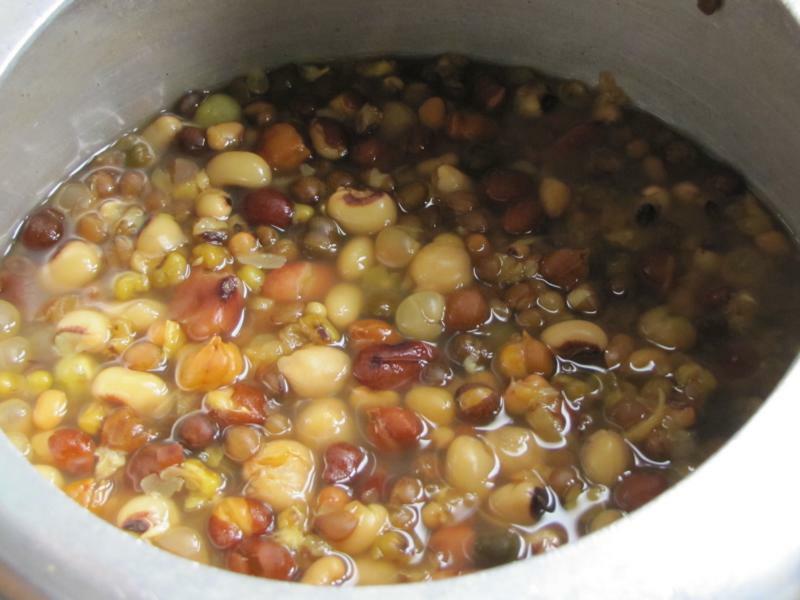 Since these are dried pulses they need to be soaked overnight in water, then pressure cooked till soft. 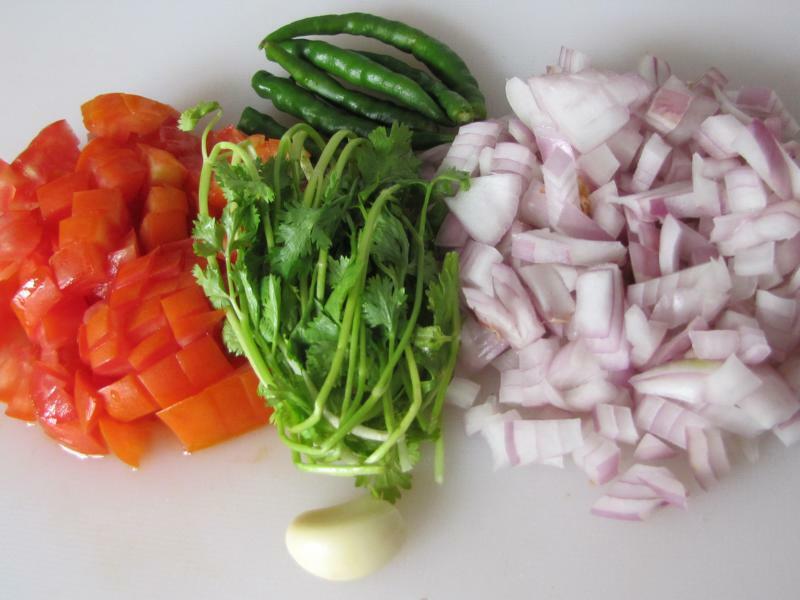 You will need some onion, tomato, green chili, ginger, garlic and coriander. 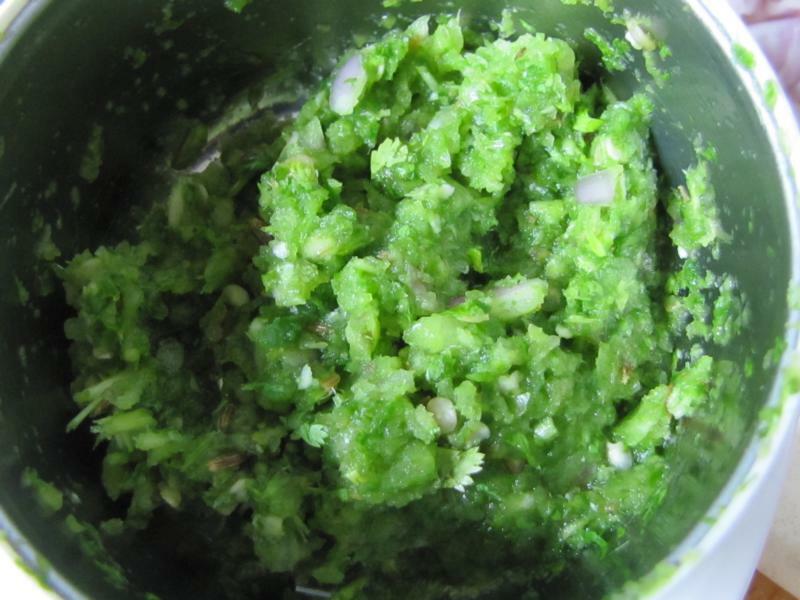 I grind some onion, ginger, garlic, green chili, cumin seeds and coriander into a green paste. 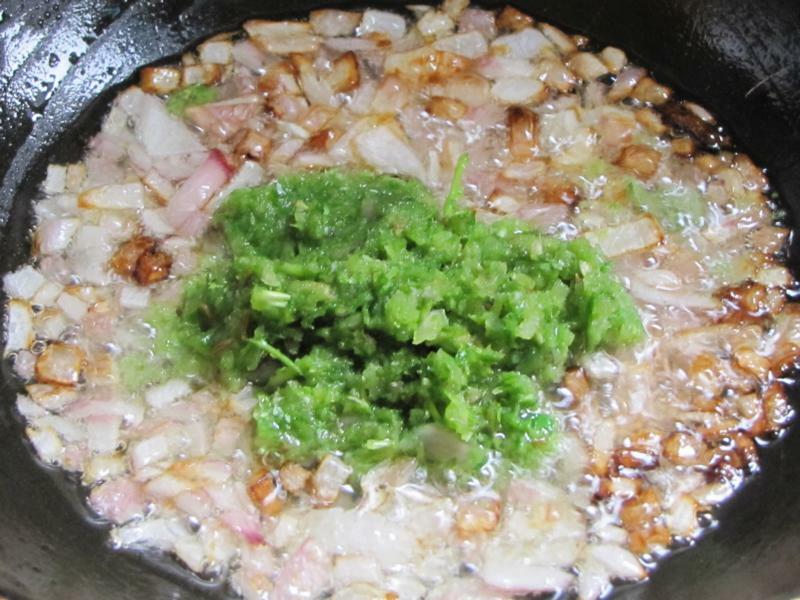 Fry remaining onions in a pan till golden and soft, add the green paste. 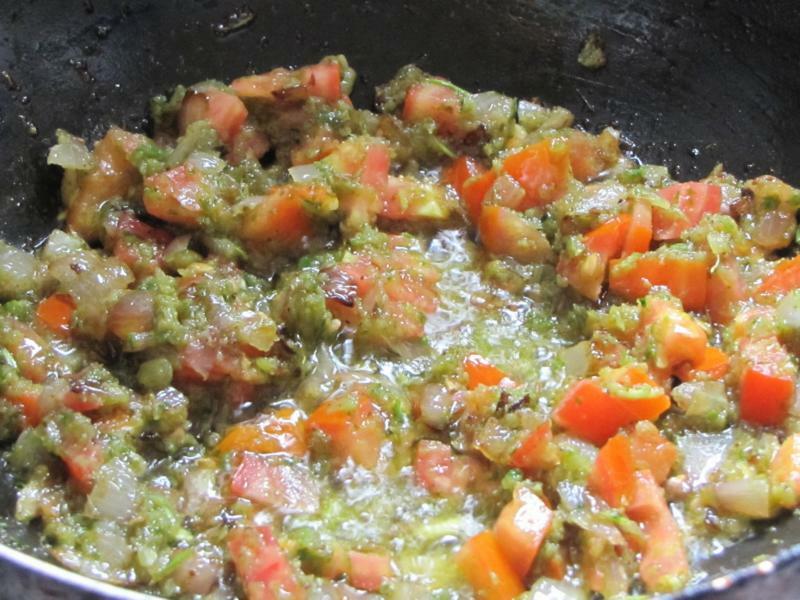 Fry for some time and add the tomatoes. Fry for some more time till the oil starts to separate, then add coriander powder. Fry for some more time and then add the cooked pulses and little water. When it comes to a boil, add some Garam Masala powder. Boil for some time and then add some lime juice. 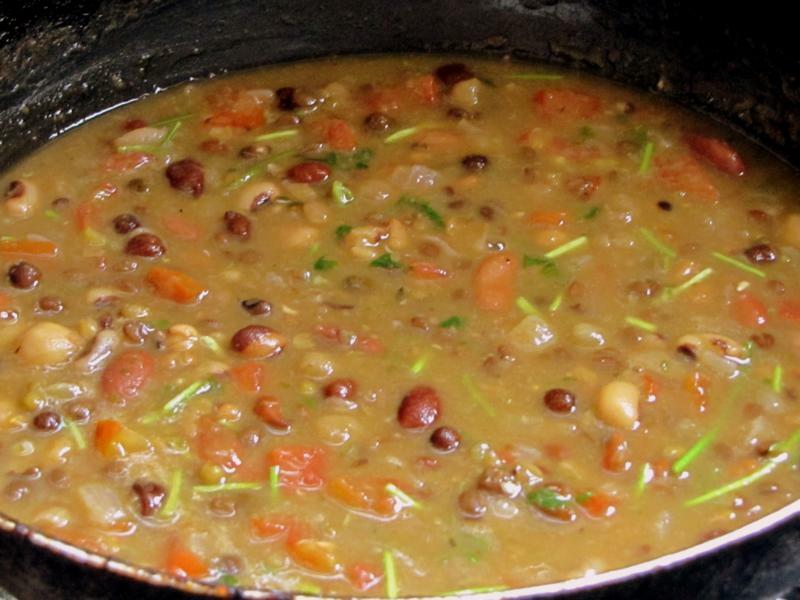 This mixed pulses dal or curry goes well with rotis.